Check out the latest Pfanner catalgoue. PROTOS®NZ have been working in partnership with PROTOS® and Pfanner Austria for over 5 years to bring this range of innovative personal protective (PPE) equipment to “our” people. Our goal is to ensure that we make available the most advanced and functional PPE to the Southern Hemisphere. PROTOS® translated from ancient Greek: THE FIRST is the first fully integral protective helmet of it’s kind. With more than 15 years of development, which continues to this day, the PROTOS® Integral helmets are designed to match the ambition of Mr Anton Pfanner, company founder, to fully integrate ear, facial, neck, and chin protection and the ventilation between the inner and outer shell. The PROTOS® helmets provide a new dimension in head protection. Customised solutions require expertise and the knowledge of current technologies and options. Through our proprietary technologies, we have the right solution for every application. User-friendly, tear-resistant and easy-care functional clothing is a top priority for us. Because that’s what defines not only the quality of materials but also their longevity. The clothing is thus tailored to your particular application. No unnecessary pockets, no unnecessary seams. Everything is exactly where it belongs. The handling is clear and self-explanatory. Our service is also personal and uncomplicated, with which we respond to your questions and requests. We are continuously pushing technical expertise and advancements. The benefit of the latest technical capabilities, combined with innovative ideas, help us to realise new inventions that we develop for your safety. Exceptional quality is not a luxury for us, but rather an essential for your life. Enduring and detailed test phases are an obligation for us, if you entrust your life to our products. Optimal protection and maximum safety are thus always out priority. Life and experience are paramount. Comfort, function and protection are indispensable in daily extreme situations. Quality you can trust – in all regions from northern hemisphere to southern hemisphere. 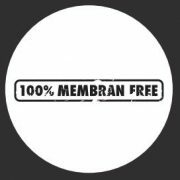 We manufacture under humane and certified conditions in Europe and only use pollutant-free products. Our employees and suppliers also appreciate this. The extremely tear-resistant outer fabric meets the highest demands. Water-repellent, oil and dirt resistant. 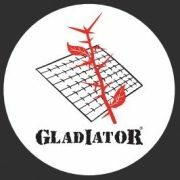 Available in all Gladiator® and Ventilation pants. 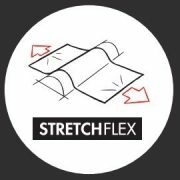 The proven StretchFlex® technology ensures a perfect fit and enhanced breath-ability, thus providing maximum comfort. 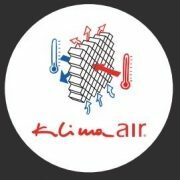 Patented rear ventilation system for cooling in summer and thermal insulation in winter. This fabric is used in different thicknesses for shoes as well as jackets. Water and sain repellent leather. Extremely easy to clean, resistant to natural acids. 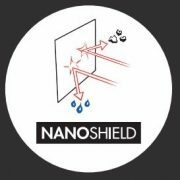 Available in all Nanoshield® shoes. 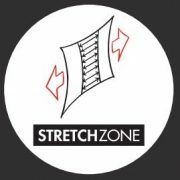 Breathable stretch fabrics keep you comfortable during physical exertion. Used with various additional equipment from jackets to functional shirts or pants. The 3CON® reflective strips and icons ensure maximum light reflection properties on all fabrics. These provide additional security through increased visibility. Elastic fabric inserts provide more freedom of movement and comfortable wear for jackets and pants. Work wear with added value. 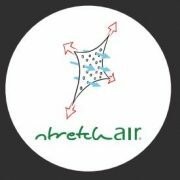 Doing without any membranes enables maximum breath-ability, thus reducing considerably the moisture formation on the foot. The PROTOS® Integral system ensures the best protection for all its model variants. Impacts from outside are evenly distributed on the outer shell, thereby being safer with better cushioning. The PROTOS® Integral system can be adapted within seconds for a variety of uses such as industry, forestry, tree care, cycling, skiing, rescue and climbing applications.